SteinTec tuffbed is a fully pre-mixed high-performance bedding mortar which requires only the addition of water. tuffbed is suitable for all types of setts and flagstones. tuffbed is a fully pre-mixed mortar which requires only the addition of water. 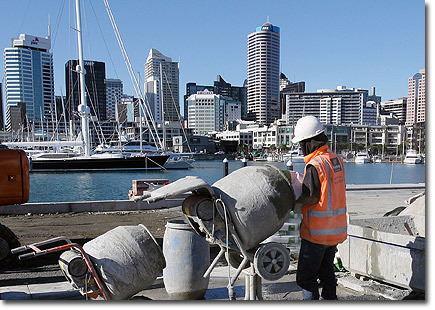 No special mixing equipment is needed with SteinTec mortars. tuffbed is a naturally pure hydraulic mortar which achieves high strength through design and meticulous quality control. Complying fully with the requirements of BS7533 parts 7 & 12, the Elastic Modulus is optimised to provide the correct supporting stiffness whilst continually absorbing the thermal and dynamic stresses inherent in all pavement structures. Shrinkage compensation reduces the risks of failure associated with building permanent stress into new pavement structures. For heavy trafficking within 3 hours, refer to tuffsetG. If you have a project that you'd like to discuss, please feel free to email or call me.